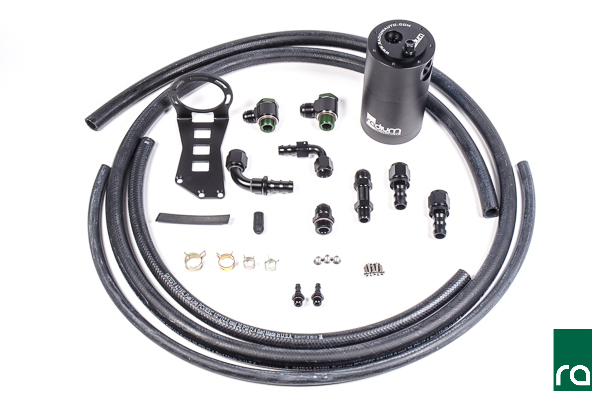 This kit is compatible with the 2015+ Subaru WRX and 2014+ Subaru Forester XT with the FA20F engine (left-hand drive models only). 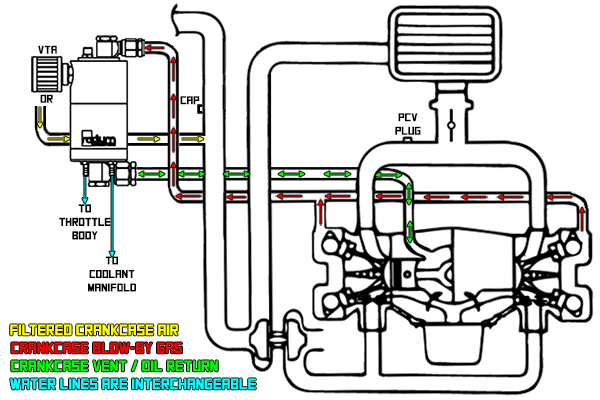 CLICK HERE for a more in-depth look at the Subaru AOS as shown for the EJ engines, same theories apply for this application. 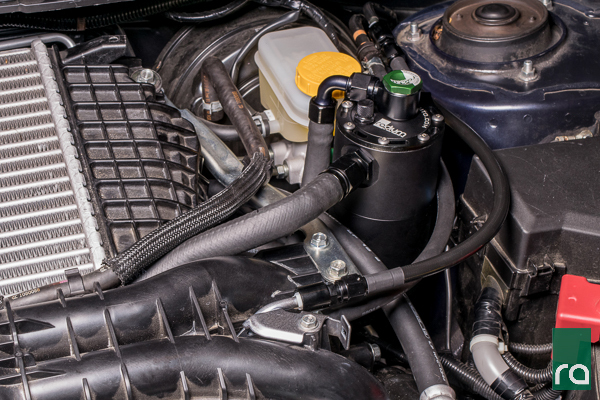 However, the direct-injected Subaru FA20F engine in particular has an inherent problem since there are no port injectors to clean the backside of the intake valves. 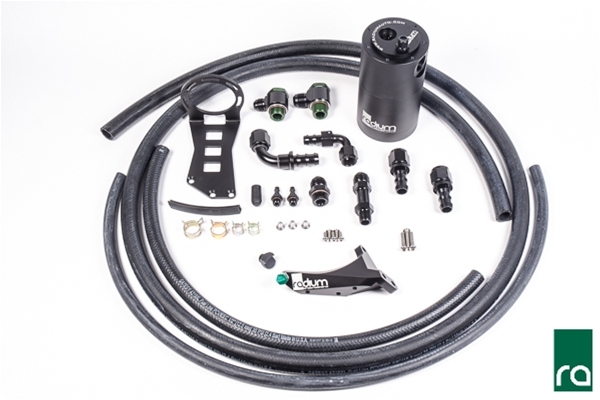 The AOS is constructed of CNC machined sections that screw together and are sealed with O-rings. The AOS can be completely disassembled for cleaning or servicing. 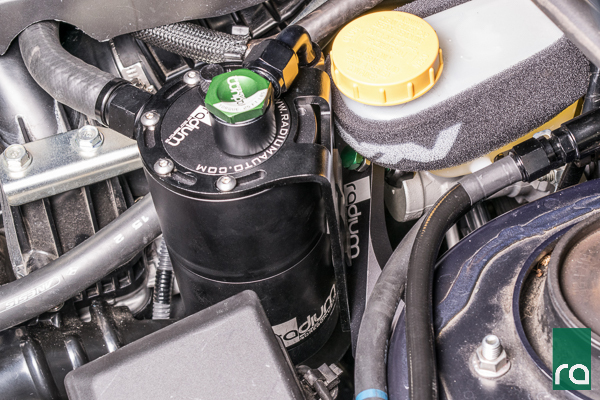 The Radium Engineering AOS kit installs on the LH side of the engine bay, near the brake master cylinder. 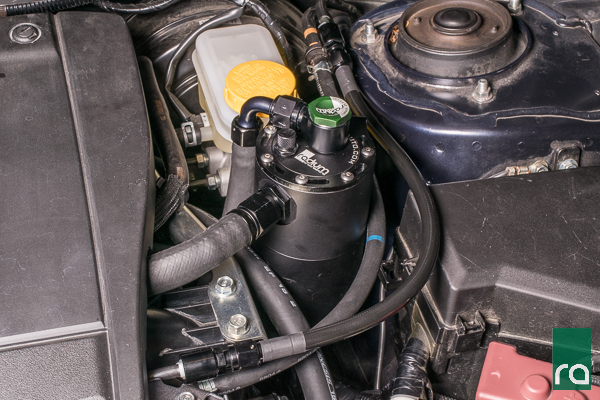 The outlet (side port) of the AOS is plumbed back to the turbo inlet pipe, creating a completely sealed system. The AOS mounts to the Radium Brake Master Cylinder Brace, as shown below. This brace is REQUIRED for installation. The PCV valve is replaced by a custom machined straight-through adapter fitting, shown below. 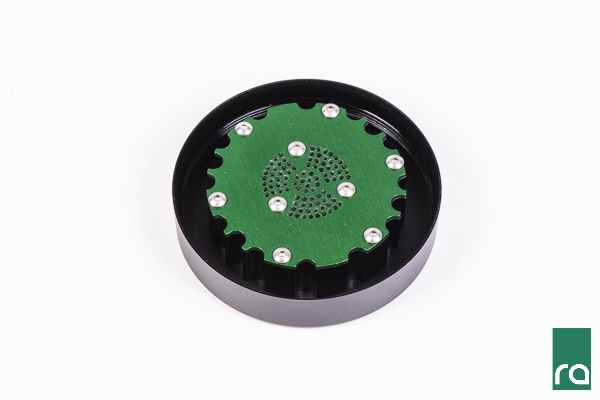 Oil collected in the AOS drains out the bottom fitting and back into the engine block through this fitting. 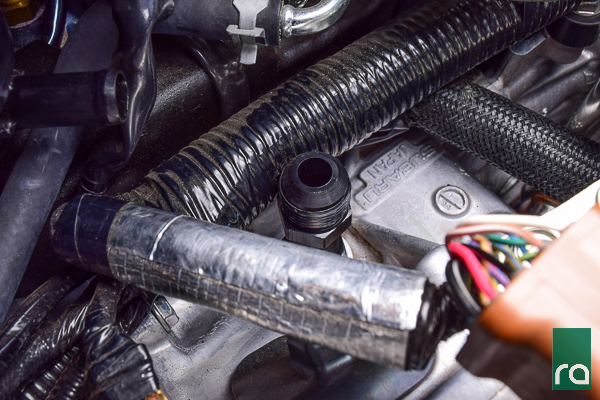 NOTE: For users in extremely cold climates, Radium Engineering recommends installing insulation sleeving (not included) over the PCV hose near the turbo inlet. This will help prevent the natural phenomenon of water condensation freezing and potentially clogging the hose. This can be a problem if the vehicle starts in a freezing environment and drives a short distance.